Bonnie L. Shough, age 73, of Bellefontaine, Ohio passed away Friday, November 30, 2018 at her residence. She was born in Michigan November 2, 1945, to the late Charles and Dorothy (Marks) Zimmel. On November 18, 1977, she married Neil P. Shough and he preceded her in death October 2, 2018. A brother, Tex Zimmel also preceded Bonnie in death. 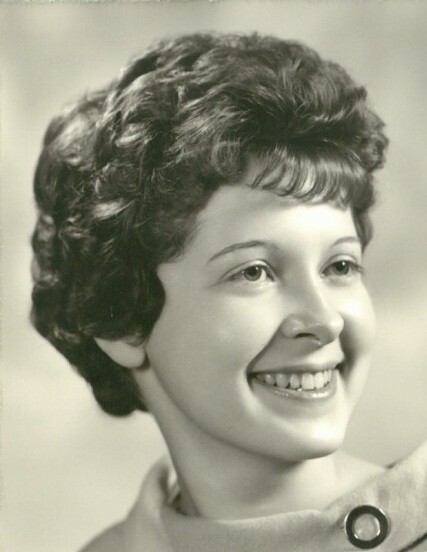 She is survived by her children, Bill Hurley, Tamara (Stu) Jenkins, Brian Hurley, and Jerry Sterling (Louie) Hurley; stepchildren, Melanie (Darrel) Godwin, Kathleen (Jim) Whitehead, Jeffrey (Joyce) Shough, and Ryan (Alisa) Shough; twenty one grandchildren; nineteen great grandchildren and several nieces and nephews. Bonnie was a homemaker and seamstress her entire life. She loved quilting, cooking, reading, and antiques. Bonnie was an avid animal lover. All who knew and loved Bonnie will miss her. Visitation will be held Wednesday, December 5, 2018 from 12:00 to 2:00 P.M. at the Eichholtz Daring & Sanford Funeral Home & Cremation Center in Bellefontaine. The funeral service will take place at 2:00 P.M. following visitation at the funeral home. Burial will immediately follow the funeral service at the Huntsville Cemetery in Huntsville, Ohio. The family requests that casual attire be worn for Bonnie’s services.